Let's review something a little bit more grown up today, shall we? 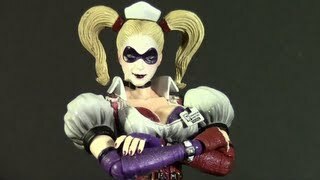 It's my first look at a Play Arts Kai toy and I've picked my favorite female psycho from cartoons and comics to cover for this one. Not that she's covering much of anything.